Rather dashing Shortbread Penguins in their smart red bow ties. A delicious and cute present posted out in a lovely tin with your gift message. Two rows of three smart penguins. 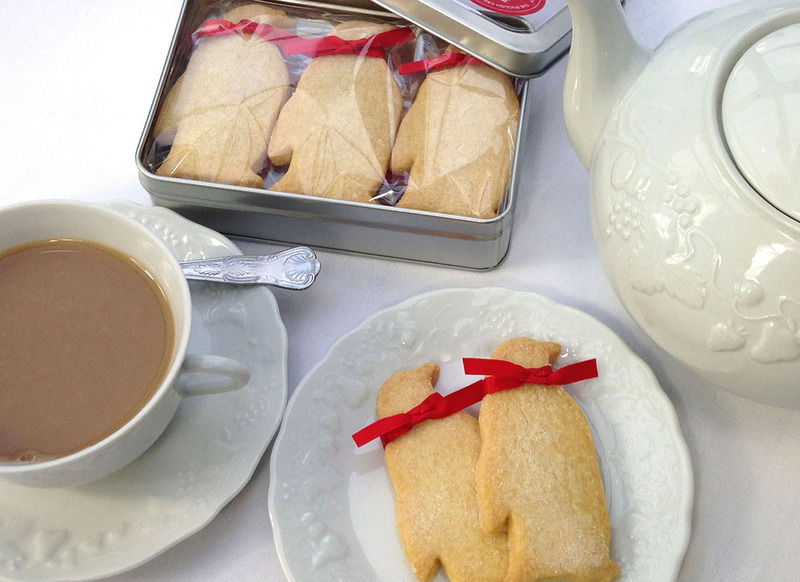 Made with our all-butter delicious shortbread recipe, each Penguin receives a red silky bow tie to make them very smart for you! A treat to make the recipient smile. Price includes 1st class UK postage. Ingredients: Contains wheat and dairy: Wheat flour (allergen), Butter, Sugar - and hugs plus non edible silky bow ties! SHELF LIFE: These penguins will last for up to 3 weeks wrapped up in their tin at room temperature but will last for 5 months in the freezer - and you can pop the whole tin in the freezer if you're buying ahead of time. 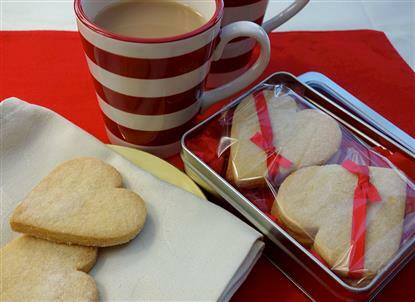 A Gift Tin that can be posted out containing two delicious types of Tea inside and delicious all-butter Shortbread. Perfect! 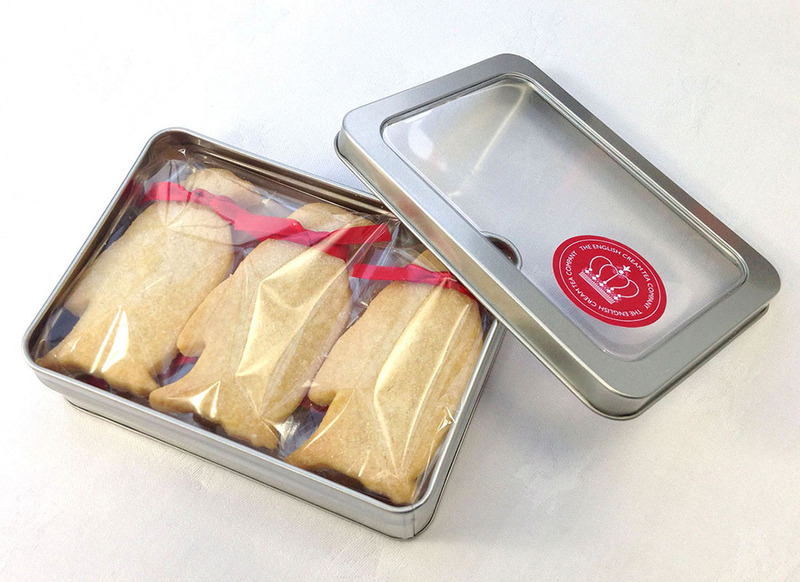 A perfect little gift of Shortbread in a handy Tin which we'll package up with the gift message of your choice and send First Class through the UK post (included in the price). A dear little Thank You, Birthday, Congratulations or Just Because present, don't you think? Just tell us when you want it posted and it shall be done!